I Don't Need to Lose Weight, I Need to Gain Weight! In a market dominated by weight loss pills and programs, it is easy to feel like everyone wants to lose weight and the people who need to gain weight have simply been forgotten. If you can relate and are a person who has struggled to gain weight, and you have a desire to learn how to gain weight , then rest assured – you are not forgotten! We created an amazing product that has helped change the lives of those who have battled with weight gain for years; CB-1 Weight Gainer is the fastest and safest way to gain weight. CB-1 isn’t like other weight gainers that add on temporary water weight; it actually helps you gain real body mass so that when you reach your goal weight, you should have no problems keeping it! You probably already know that if you need to gain weight , you’ll need to start by taking in more calories. However when you have a fast metabolism or a weak appetite, eating more food isn’t always as easy as it sounds. If you eat all day and can’t gain a pound or you find that your morning toast keeps you full all day long, don’t worry - you’re not alone. Most people who have a hard time gaining weight either have a fast metabolism or a weak appetite (or both). When you find that “eating more” just isn’t enough to help you gain weight fast, the right weight gainer can give you the edge you need to reach your desired weight. If you share these struggles and you need to gain weight , then CB-1 Weight Gainer is the right weight gainer for you. It is designed to help stimulate your appetite and slow your metabolism, making it a great way to gain weight fast. When trying to figure out how to gain weight fast, it’s important to know that there are a lot of products that promise to help put the weight on without telling you “how.” Gaining weight is a process, so when you add supplements to your body that don’t specify how they help to gain weight fast, you could be in for only temporary weight gains or some harsh side effects. It is always best to do your research and find out the facts. With CB-1 Weight Gainer you don’t need to worry about it having a negative reaction or unwanted side effects. CB-1 is all natural and has been clinically tested to ensure that it is as safe as it is effective. To succeed with your goal to gain weight, it is important to realize that the biggest factor in reaching your goal is increasing your caloric intake. If you are like many other people who need to gain weight and have struggled, combining high calorie protein shakes with CB-1 Weight Gainer can help you gain weight quickly because they work so great together. Remember that weight gain shakes aren’t meant to be a meal replacement; they are meant to supplement your calorie intake as a snack between meals. Don’t worry about feeling too full since CB-1 will help give you the appetite to eat a full meal and still pack in a shake for those extra snack calories that your body really needs. Not sure which shake to take? The Supragenix Weight Gain Shake is a delicious option that comes with an optimized amount of whey protein, helping you maximize your weight gain results. Best of all, it was designed specifically to go hand in hand with your CB-1 Weight Gainer! Weight doesn’t just happen overnight; if it does, it isn’t real weight gain. Gaining weight is a gradual process, much like the process of growing a garden. 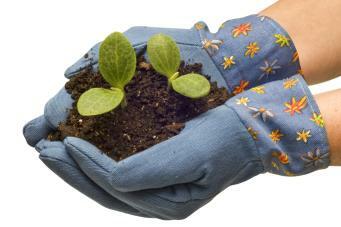 When growing a garden, you have to plant the seed and nurture it until you are able to see growth. Much like the seed, you won’t see an effect in your weight until you put in the time, effort, and consistency it takes to gain those additional pounds you want. CB-1 Weight Gainer acts like a fertilizer; it’s there to help you along in achieving your goal to gain weight fast. 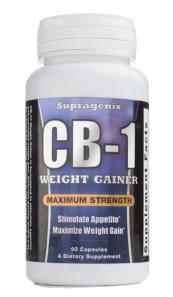 You can order your own bottle of CB-1 Weight Gainer any time by visiting www.CB1WeightGainer.com. For more weight gain tips and advice, visit the CB-1 Weight Gainer Blog.